1 Where can I sell my art? Brushes, paints, pencils, drawing pad for PC, papers, canvases. All that cost money, and without all of that art is very hard to create. We don’t say that is impossible without all those tools, we say it is hard. Every artist knows that one HB pencil and piece of paper is all is a need to start, to start creating art. But every artist in some point of artistic journey tries to find own style, so they grab all kind of art tools. From brushes to pencils or clay, and so many others way that are known to humans. And here comes the part when art becomes expenses. If you are trying to become better with your skills, you will have expenses. So the best way is to sell some of your artworks and cover those expenses. And here comes the question. The list of websites will be on the bottom of this article, but we believe that you should know the best way for selling your artworks. Don’t just jump in those websites to register and upload your artworks and start selling, you must create a brand. You are unique, so act like that. You must brand yourself because you have a value. I know it’s sound little too commercial, but hey we are trying to sell some art. And remember, you have invested a lot of time in your artworks, you had a lot of failures and probably happy moments when everything was just awesome. All those emotions today are gathered in your artworks that you create, so don’t just give up on them easily! Value your art, this is the most important part. Your website is the best place for selling art, all others third-party websites are just hungry beasts that only aim for profit. You will compete with thousands of artist on those sites, and chances for success are too small. So our advice that you start like professional, and give customers what they wish. You aim is to make an impact on customers, and with the professional website that is the best way. To build a professional art portfolio website could cost you some money, but if you act like professional then success is also professional. If your budget is allowing you to spend money on your own website you should do it immediately, there are many website templates for artists available. Free and paid, but go for paid with store included. So you can sell your artworks immediately after setting up your site. Free things are ok because they are free. But in most cases you will be stuck in one point, like establishing a store. And you will then spend more money on a plugin for the store then you should spend on the complete template with the plugin. You know how they say “ I’m not rich enough to buy cheap”. All you need is to provide a hosting and domain of your website, and you are ready to go. On the market, there also places where you can set up your art website with few clicks, without of needs for coding. They are made especially for artists that wish promote their artworks, and you will have everything included for a start. Like the gallery, contact page, store, about your page and many others customize pages. 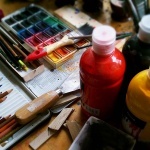 One of this website’s that is most popular among artist is part of Fine Art America website, and 40 000+ artists promote their artworks with this kind of promotion. Maybe little daunting but it is true, and you know it. Facebook, Instagram, Twitter, Pinterest, Tumbler, +Google, YouTube they all must be in your toolbox. More you have more exposure you will get. And those mentioned networks are part of your answer to the question “Where can I sell my art?”. It is all about getting the own twist to all of this and any place on the internet can become your place for selling artworks. The ugly part of selling anything is that we must spend more time on promotion than on creation, and that is the rule even among artists. 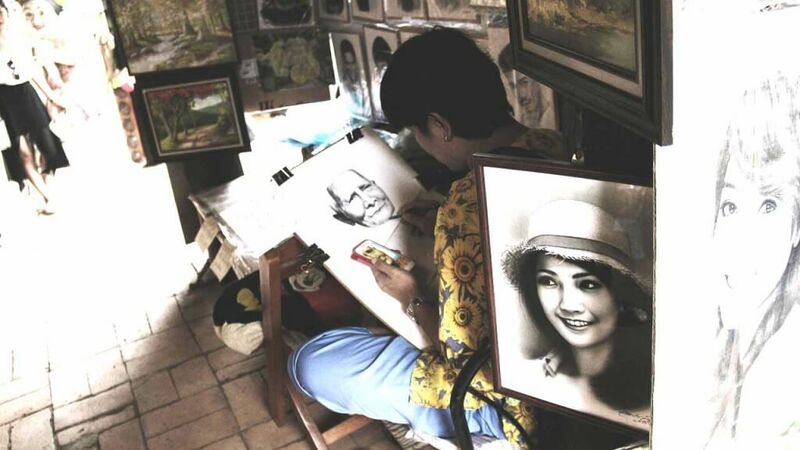 The nice part is that in the long run you will have great success with selling your artworks, and people will know you. The best social networks for artists are all known, and the best way is to start with ones that have the most influence in today marketing. So let’s start with the ones that will bring your artworks closer to the buyers, and finally a sell. Why must you have YouTube channel? If you create YouTube channel you can record a video of yourself during painting or drawing, or whatever you do. People who will watch this are actually targeted viewers, those are people who love art. So there are very big chances that you will find buyers even on YouTube because YouTube is second by the popularity of search engines. Actually, YouTube today have 1 billion of users, and that is almost third of internet users on the planet. This is a place where you must be, and today using of YouTube is very user-friendly. So in no time you can edit and publish your first video, even the slideshow of your artworks in video format can bring you, buyers. So start creating social accounts if you don’t have them. Use this free power, it will benefit you in the long run. But by far most powerful social media for the artist are those that are image friendly, like Instagram and Pinterest. Because people there actually search on those social media are searching visual, and that is where is a power of art. Art is the visual performance for our eyes, something which will lead us to stop and look carefully. And Instagram and Pinterest give you that, you can present your art visually. And again they are free! Pinterest is also one of bigger social networks, even when you look to Pinterest doesn’t look like a social network. But what is going on Pinterest is a very viral thing, people search there what they love. And after they pin let’s say a photo of your artwork on board it will be visible to all followers of that person. And magic circle will start to expand, and you will get followers and people will repin and finally, you will again have targeted people. Art lovers that can become buyers! Interesting fact about Pinterest today 75% of users are woman’s, and 33% are men’s. And the most important fact is that 93% are putting stuff on the wish list, and those are ready to buy people. In this short explanation, everything sounds great, but it is good to arm yourself with patience. The main rule for all social networks is to be active and to stay active. People will not follow someone who doesn’t post anything in a week, they simply don’t have a reason for that. Right? Instagram is all about images, users share images to get to the people. And very big part of those users are artists, and people that follow those artists. Most of the artist that join Instagram easily get’s a lot of followers, because art is very popular on this social network. For certain we can say that here you will build you follower ( potential buyers) list very quickly. With this very active social network that comes naturally, all you have to do is join and once again stay active. Once you join to Instagram you will notice that most of the artists have one trick, they put in the profile description that they are available for commissions. So they can be contacted by buyers anytime, you should do that too. About this social network, probably everyone knows, but the thing is that not many people use it. But being on +Google will get you one big advantage as an artist that wish to promote art, your exposure on Google search will be bigger. Google search engine favorites posts published on Google+ so you will get front seats if you share your artworks through the Google+. And this is a first social network where you should be active, you should join art communities and share your artworks there. Share your knowledge about art, people will notice you. And soon you will have a nice army of followers. Online we have many more good social networks worth to join, and like we said before if you join more of them you will get more exposure. The thing is that all that is time-consuming, and to check all accounts you will need a lot of time. So grab some social manager that will increase engagement and save you a lot of your time. The best ones on the market that you can get for free and paid are Buffer and Hootsuite, and they allow you to schedule all of your post and messages from one place. Everything said in first part of the article is on the third-party websites, but this is only to point to a right way of selling your hard work. But don’t get us wrong, we are not against them. So many artists there is just proof that third-party sites a good for them. And maybe you will benefit too, so we have made a list of few that are worth to mention. 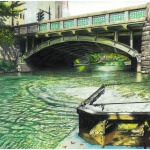 ArtPal This site is for all kind of artist, they accept all. From paintings to sculptures, or even crafts that you made. With a big community of artists that sell artworks there, the site attracts the big amount of buyers. With a lot of choices to pick, buyers love to spend time on this site for exploring artworks. They have 12 categories with subcategories for each one. So you can add your artwork to drawings, and pick portraits for instance. ArtPal takes the only small amount of fee if they sell your art, I repeat if they sell your art. If you sell your art they will not charge you. The site also has option print-on-demand, which gives so much more options to buyers. This site is recommended to join. Artstorefronts – is a website which allows you to build your own art shop website, and you don’t need to know any kind of coding. Everything is done by drag and drop, and you have the option to choose among various templates for your site. In one hour you can set up your art shop, we will not say in few minutes you can setup your store. Because if you do that, that means that you didn’t approach this seriously. Every website should be built with careful planning, without skipping steps. You may consider that once you set up your store, you will promote your website alone. This is the moment when your social signals will come in handy, all the networks we have mentioned. Hard job to do, but it is not impossible. Amazon – Yes even on Amazon you can sell your unique artworks, and Amazon has a very big piece in this market. And an advantage of Amazon is credibility that has among buyers, which create a safe feeling of buying. Amazon is highly recommended. Etsy – Well known among people that share a passion for arts and crafts. On this site, you can set up an online store, which is very user-friendly to set up. And the large community of buyers you will have right in front of your store. Etsy is one the leading online places for selling arts and crafts, and this is the place where you must be. They charge a small fee for every listing that you have, but that’s nothing comparing to market you enter. Fine Art America – Website which we can without a doubt to say that is king among all, it is a leading website for selling paintings, photographs, sculptures and everything related to artworks. With Fine Art America you can’t miss, you can only make a profit. We could write FAA a lot more, but the thing is that you must join now. So don’t waste time to register, and start uploading your artworks. And don’t forget to share them on your social accounts, it can bring you more buyers. EBay – Maybe eBay is not sounding like the best option for selling art, but the truth is that many artists sell there. So why not give a try? Large marketplace with so many hungry art lovers that are searching for art pieces, there is very big chances that you will be discovered. Join. Zazzle – What Zazzle gives you is a unique way to transform your art into useful things for people, like a cup of tea or protection mask for a cell phone. And so much cool stuff decorated with your artworks, and many artists have pretty nice income from this. But you are not obligated to sell your art as a cup, your can sell your artwork prints. They have also print-on-demand service, and by reviews of the customers, it is very good. If you do well your promotion, on a long run you can have stable passive income from this site. RedBubble – Another great place for selling your artworks, and it is very similar to Zazzle. you can sell prints on canvases or cups and many others interesting customizable stuff. It also has a large active community, with great shares of tutorials made by artists. And amazing inspirational stories of artists successes, and this is something you should do on this site. Share your story for bigger exposure, and people will love it and also Google will love it. Anywhere, just use creativity like you do with your art. OUTSTANDING FABRIC QUALITY: A comfy, soft toddler ¾ SLEEVE T-shirt, perfect to keep the little ones warm and comfortable and fully covered. 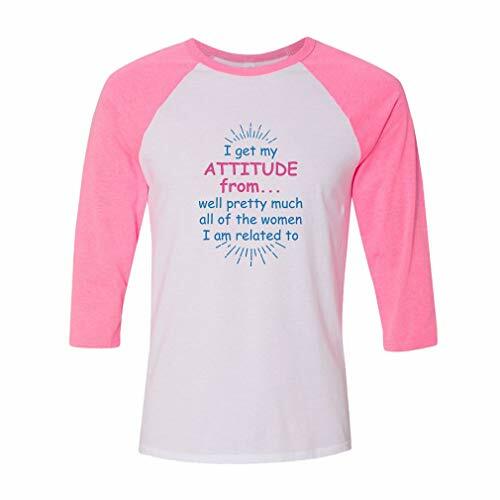 Whether you are looking for a fun t-shirt, a funny baby gift, high quality toddler clothes, or the softest fabric, Cute Rascals has you and your baby girl or baby boy in your life covered! Printed on American Apparel Tee, 100% American Made. TRUSTED GIFT IDEA BY THOUSANDS OF SHOPPERS: Fun, unique designs are sure to make the Cute Rascals gift giver the talk of the party! Our classic tees feature supreme style and yet they have something more. This is a beautiful fit and extra comfort. They also come in a eye-catching range of colors and styles which will provide a great wardrobe addition for any little one. Whatever they look good in, make sure you make it a classic. UNIQUE AND FUN DESIGNS: We put a lot of thought and time in our design process. Plus, our t-shirts are a real staple item for babies and kids. They are a good cover-all, cool and comfortable. As well as being easy and quick to wash and dry. We have a truly fantastic range to choose from, with so many distinctive designs. And you can never have too many, right? This tee is pre-shrunk and is made Poly-Cotton blend (50% Polyester / 50% Cotton). Machine washable. 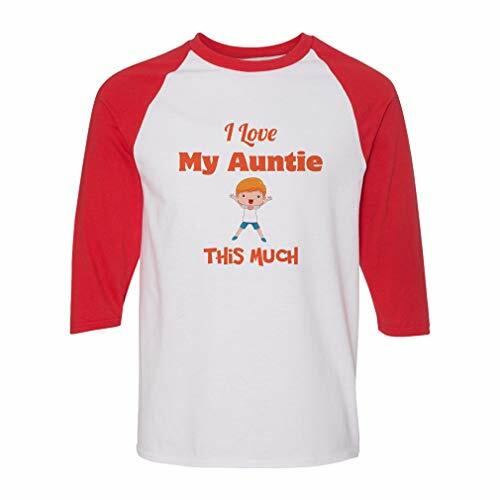 WORLD CLASS PRINTING: Our designs are professionally printed with industry standard techniques guaranteed not to fade or crack, with no bleed through to the inside perfect for your baby's soft skin! Our prints will continue to feel and look great even after many washes for many years. 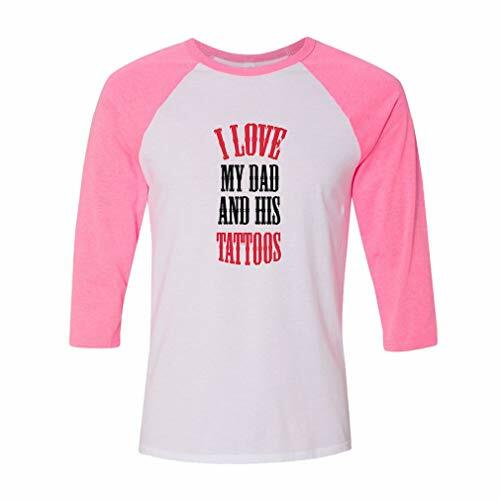 Highest quality professional print that is soft to touch, this design is printed directly onto the tee with eco-friendly inks that are safe for your kid. You won't feel the design, it's super soft.